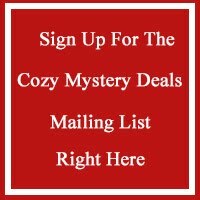 Writing cozy mysteries was just an extension of reading them, because ever since I read my first Agatha Christie’s book (Murder in Mesopotamia), I wanted to be Hercule Poirot, and then, of course, Miss Marple. As soon as I realised this was not possible, the next obvious step was to start writing my own cozy mysteries. It took me several years to get from the “lets-think-it-up” stage to pressing that Publish button, but it was worth the wait. I love writing cozy mysteries because I love creating characters and their backstories, weaving the intricate web of lies and secrets, and (who doesn’t? ;-)) killing off some unpleasant personas. It is also about taking the reader on the ride alongside, guiding them to discover whodunnit for themselves. What a joy! Tell us a little about the Paper Crafts Club series. As I like to think about the series: a smart girl, a nerdy inspector, a dead body and a quirky British town full of suspects - whodunnit? Ah, yes, there is also a paper craft related murder weapon, or some other important element of the crime scene. And a little romance. The main character, Katie is a single mum juggling part time police admin job, freelance cleaning gigs, motherhood and murder mysteries. Jack, the male main character is a DI “on loan” from another city. She’s all about intuition and gut feelings, while he’s a ‘logic-and-evidence’ type of guy. And yes, they clash. Not entirely, but if I could just try it for a few months, then I most definitely would. I would obviously want to see what it’s like to be Katie, but I have a really soft spot for Dorothy Ravencroft. I’d like to see more of her life and personality and I’ve actually come up with an idea for a spin-off series with Dorothy as the central character. Why? Because I think Dorothy is an interesting person, maybe even eccentric, who has the courage to be herself even in a small, gossipy town. She is also “the wise woman”, someone who is able to see right through people. And she is not afraid to have fun and laugh at herself. She has travelled a lot in her life, has lived in various places, and will go away on a few more adventures in the future. Yes. Beside a few scenes with Julia and Katie taken straight out of our household, there are also some other stories and characters based on my own experience. One of the victims is based on someone I met 15 years ago and still vividly remember. Private detective, of course :) But more seriously, a composer or an orchestra conductor, someone who creates music for people to enjoy. I did try, learnt to play the piano and even to sing, but I quickly realised I didn’t have enough talent, so I returned to writing. I think I would be a very unhappy person if I couldn’t do something creative. I like all my books in the paper Crafts Club Mystery series, and Book 3 is probably my favourite one. I learnt a lot while researching the technology that is discussed and used in the book. I like the way modern technology proves of little use and it’s the good old sleuthing that saves the day. I also enjoyed writing the settings and discovering some of the secrets I didn’t even know the key players had. I like spending time with my family, playing board games, country walking, or laughing watching silly cat videos. I love cooking, baking, and doing arts and crafts by myself or with my daughter who is 9 and very creative. I also enjoy reading and walking. Walking is usually when I stumble across new book ideas. Obviously, I love writing and reading cozy mysteries, but I have another favourite genre: sci-fi and cyberpunk. And I’m secretly planning a few sci-fi novels. The Paper Crafts Club Mystery Series book #6 is due in mid-August, and then I’ll take a little break (to write that sci-fi novel), but will publish a box set in August/ September. I am also planning to write a prequel to the series, and the Christmas story! Book #7 in the series will probably come out in September/October, and I will continue with monthly releases in the series until the end of the year. If you want to find out if what Katie does with the inherited workshops, or if she’ll ever admit to being madly in love with Jack, stay tuned.